PARIS Europe's horsemeat scandal is spreading, as French consumer safety authorities say companies from Romania, Cyprus and the Netherlands were part of a supply chain that resulted in horsemeat being disguised as beef in frozen lasagna sold around the continent. Romania's president scrambled to salvage his country's reputation as Romanian authorities investigate the claim. Dutch authorities say they're ready to investigate if needed. A Swedish manufacturer is suing a French supplier. No one has reported health risks from the mislabeled meat, but it has unsettled consumers across Europe. French supermarkets announced Sunday that they've pulled a raft of pre-prepared meals, including lasagna, moussaka and cannelloni suspected of containing undeclared horsemeat. The motivation for passing off horsemeat as beef appeared to be financial, and authorities are concentrating on pursuing anyone guilty of fraud in the affair, said France's junior minister for consumer goods, Benoit Hamon. Hamon said in a statement Saturday that an initial investigation shows that a subsidiary of French company Poujol bought frozen meat from a Cypriot trader, who had received it from a Dutch food trader. And that Dutch company had received the meat from two Romanian butchers. The statement didn't name the Romanian, Cypriot or Dutch companies. Poujol then supplied a Luxembourg factory, Hamon's statement said. Another French company, Comigel, also was involved, and the lasagna was ultimately sold under the Sweden-based Findus brand. While horsemeat is largely taboo in Britain and some other countries, in France it is sold in specialty butcher shops and prized by some connoisseurs. But French authorities are worried about producers misleading the public. An affair that started earlier this year with worries about horsemeat in burgers in Ireland and Britain has spread into a Europe-wide scandal. The EU commissioner for agriculture is meeting Monday with Romania's foreign minister. Romanian President Traian Basescu said Sunday that his country would lose credibility "for many years," if the Romanian butchers turn out to be the root of the problem  and face potential export restrictions. "I hope that this won't happen," Basescu said in televised statements. Basescu said that so far no irregularities have been discovered. Romania's agricultural ministry has begun an investigation. In the Netherlands, Esther Filon, spokeswoman for the Dutch Foods and Wares Authority, said Sunday that the Dutch haven't started investigating but they are ready to if necessary. "We're a ways away from being able to confirm or deny whether a Dutch company is involved," she said. "It would presumably be a question of fraud, rather than food safety. Horse meat can be sold legally in the Netherlands, as long as it is labeled as such." 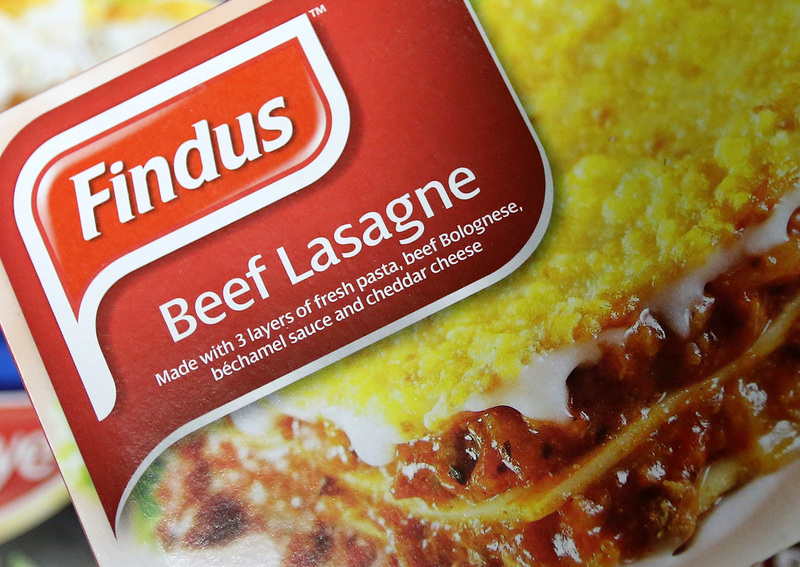 Findus Sweden plans to sue France's Comigel for breach of contract and fraud, Findus Nordic CEO Jari Latvanen said Sunday. He said the company's deal with Comigel stipulates the beef in the lasagna should come from Germany, France or Austria, but that has not been the case. "We understand that customers are disappointed. So are we. Customers must be able to trust the contents declaration," he said. "We will take strong action to make sure those who are liable in this affair are punished. Our reputation has been damaged, and we do everything to re-establish confidence."